Dunlop's research into the occupations and attitudes of Scots abroad during the 15th century uncovers some surprising revelations about all members of the Scottish ex-pat society. She particularly notes the ‘scurrilous' opinions of the French regarding Scotsmen's behaviour. While Scottish diplomatists and envoys tended royal affairs abroad, gracing palaces in France, Milan, Rome and Spain, it seems Burgundian courtiers at Edinburgh thought little of them, referring ‘condescendingly of their backward social habits'. The antics of priests and pilgrims also did not go unnoticed, with Acts of Parliament written early in the 1400s in an attempt to ensure the ‘gude and honest cause' of all leaving Scottish borders in pursuit of religious, social, or economic advancement. 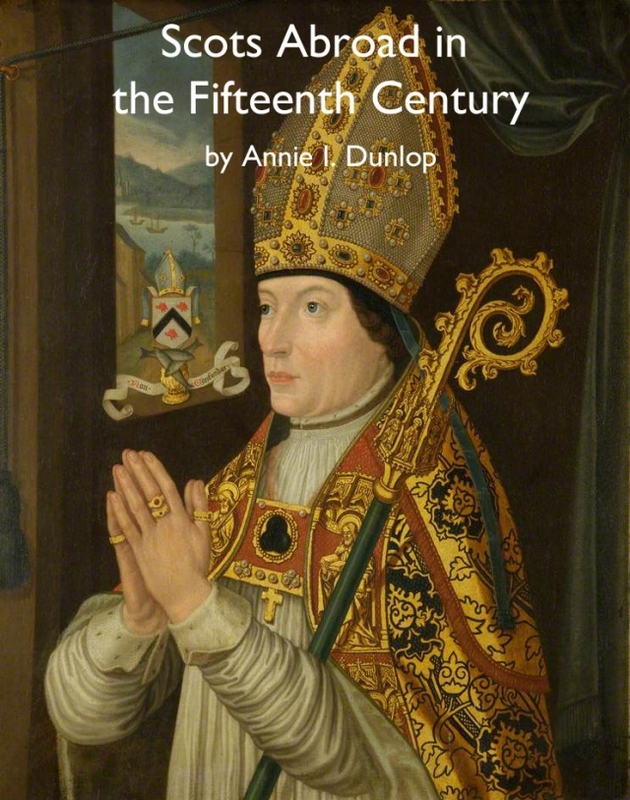 Despite these ‘gude' intentions, Dunlop notes how quickly ecclesiastics threw ‘all scruples to the wind in their haste to capture the ear of the Pope' --- the Papal Court holding far more weight than the weak and poor Scottish Crown at this time. Less fortunate clergyman thus came to be ‘detailed in irons', ‘incarcerated', or worse during failed attempts to reach Rome before their rivals. Students, too - perhaps less surprisingly - are accredited with leading a ‘turbulent' academic life. Similarly to today, the ‘initiation of the newcomer into university life' was considered essential, and by all accounts was ‘an occasion of rollicking buffoonery and extravagant expenditure and extortion'. More alarmingly, however, Dunlop reports that acts of violence between Scottish students were not infrequent. Known to have included stones, knives and even swords in some German universities - ‘the chief sources of abuse...[being] vagabondage' - ‘cases of brawls between masters' were just as common. Equally adventurous and enterprising, Scottish merchants were well thought of, despite being known for piracy. Well dressed and represented in parliament, their ‘uncanny genius for fraternisation' earned them friends internationally, gaining them trading privileges above other foreigners. Boisterous and adventurous, Scots in the fifteenth century infiltrated all aspects of European society. Dunlop's pamphlet on their various escapades is both informative and entertaining.